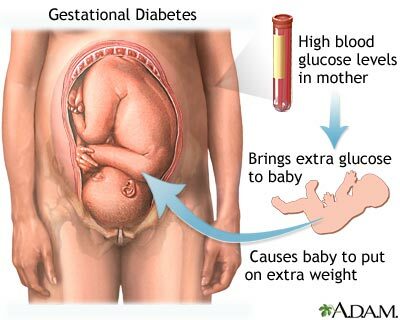 Gestational diabetes is defined as glucose intolerance during pregnancy. During your pregnancy, hormonal changes can cause the body to be less sensitive to the effect of insulin. These changes can lead to high blood sugar and diabetes. High blood sugar levels in pregnancy are dangerous for both mother and baby.